Workplace injuries are no laughing matter, and can cost your company thousands in legal proceedings, premium increases, OSHA fines and lost productivity. Unfortunately, even with the best of intentions, accidents happen in the workplace each and every day. Fortunately, Employers Resource can help you with a claims process that is seamless, and returns injured employees back to work quickly. After all, making sure employees are safe, and keeping them healthy and on the job is just one of the reasons we’re your Trusted Guardian! 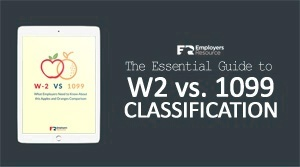 New to Employers Resource? Learn about our Work Comp Services.